Emergency Alert Systems: XML Based Technology and Emergency Notifications - Emergency Alert and Notification for Emergency Alerts and Community Warnings. The following is an extract from the article "XML-based technology offers a proven multichannel emergency notification solution" by Mike Segura. "We all know that in today's threat-conscious world, communication is more than a convenience. To protect their organizations and the public in the event of a natural disaster, terrorist strike, or other significant threat, businesses and governments have been forced to reassess their ability to monitor events, notify key constituencies, and provide accurate and relevant information. But creating a reliable warning and communication system has been a challenge. As we learned during both the 9-11 attacks and the Eastern Seaboard blackouts, when both cell phones and LAN lines were largely unavailable, traditional wired and wireless systems are highly vulnerable to both natural and manmade calamities. These events underscored for all of us the need for a more reliable emergency event infrastructure. Now a new convergence of technologies--most notably the wide proliferation of the Internet, mobile communications, and speech recognition software--is driving the deployment of proactive "anywhere, anytime" emergency notification systems. This new approach to emergency notification combines traditional Web and wireless messaging with the power of interactive voice alerts. One key aspect of this new approach is the use of XML and VoiceXML to deliver critical emergency notifications. When layered on top of traditional applications, an XML- or VoiceXML-based approach can spread the responsibility for emergency notifications across both wireline and wireless services in a true multimodal fashion. The XML-driven approach combines sophisticated monitoring and detection with advanced push technology to provide reliable and cost-efficient emergency event notification for the government sector. To appreciate the impact these technologies may have on the future of emergency notification, let's take a closer look at exactly how XML messaging works. 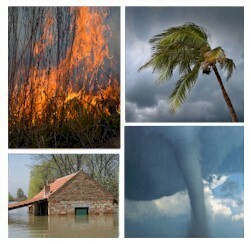 XML-oriented systems can now be deployed to meet a variety of emergency notification requirements. Some of the latest systems allow reliable and detailed alerts to be forwarded to virtually any constituent, from government and public safety officials to senior executives, security and facility managers, health and emergency service providers, disaster recovery teams, and others. These types of alerting technologies allow end users to query any type of content or source and to forward notifications in customized formats to virtually any wireless, Internet-enabled, or custom device, including voice telephones, fax, pager, e-mail, PDA, or SMS-text messages. Using an open approach to monitoring, detection, and notification, the XML-based approach gives organizations great flexibility in the selection and deployment of notification solutions while preserving the value of existing infrastructure investments. Monitoring is a crucial aspect of any notification infrastructure, and these systems can initiate the process by continually checking the status of one or more content resources, which can be an XML or a VoiceXML file. To ensure reliability even during a major event, the system can check content resources on the Internet via HTTP or HTTPS, as well as at selected backup locations. An alert engine then places a call request to a media server's messaging manager, from which an outbound application writes a Java servlet request to an internal database for confirmation and verification. A voice alert gateway receives the call request from an HTTP server and the XML or VoiceXML document from the alerts engine, and performs outbound dialing to the person or organization to be notified. 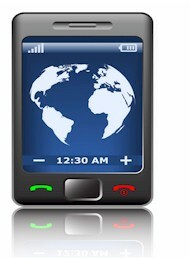 The notification is then played and verified, or attempted again if the call reaches a voicemail system or busy signal. An automated application then posts the results of the call to confirm the results of the notification. This XML-based system supports true multichannel message delivery, message receipt acknowledgement reporting, and notification retry across channels until the message is successfully delivered. Communications are configurable by role, message, and content, and sophisticated Web- and voice-based notification services can be securely managed by administrators who do may not have a great deal of technical expertise....."
To view the entire article, please contact Michael Segura, MIKE.SEGURA@INTERVOICE.COM. Michael Segura is responsible for strategy and market development of packaged applications for Intervoice. He has 13 years of experience managing business units within the telecommunications, energy, and consulting industries. He holds a bachelor of business administration from Texas A&M University and has completed executive marketing management programs from Duke University and University of North Carolina. Michael also holds a CPA certification. Automatically send phone messages from your computer system using our XML push software. Let our phone system automatically access information from your computer systems and web servers using our XML Pull and web information retrieval logic. Alerts can be automatically broadcast to systems administrators or to an entire department based upon an external event such as a power failure or system failure. Other applications may be as simple as wakeup calls or weather alerts that are triggered automatically from your own computer systems or websites. Using standard XML protocol, develop applications that transmit messages to our phone systems to perform the required phone messaging tasks. This could including simply sending a single message to one phone number, several phone numbers, or to an entire list of numbers. The message can be sent in the form of a wav file or a text file that is automatically converted using our text to speech software. Several voice wav files can be designated in the XML push message, giving you maximum flexibility.